Dr. Rosemarie Jabbour (Chiropractor) was referred to us from another client. Rosemarie needed helped setting up her website and replacing a free website builder that had been temporarily used. The design is clean, interactive and helps to convey professionalism and quality: attributes that are very important in the health space. 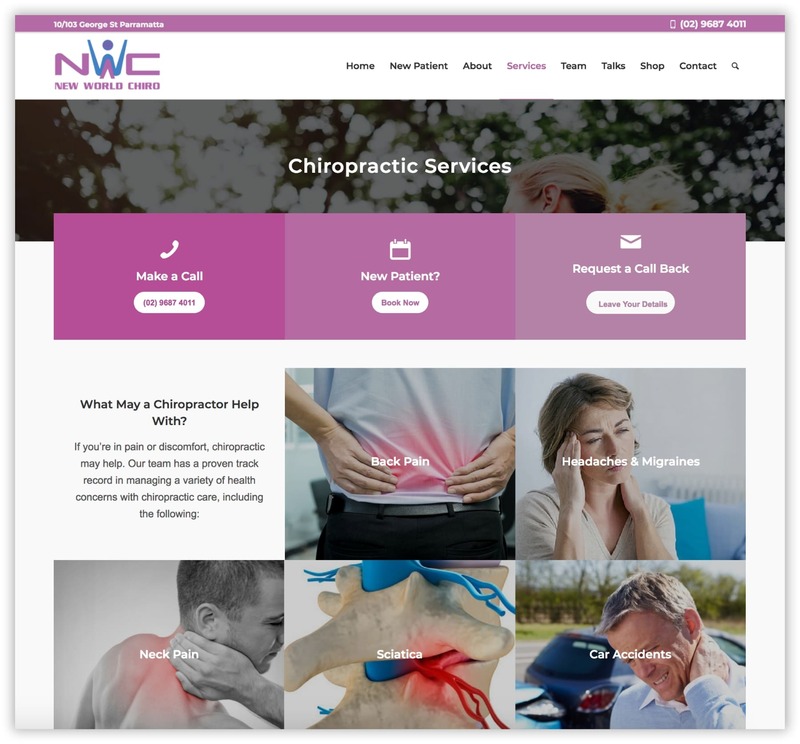 Find out more about our chiropractic web design service here. 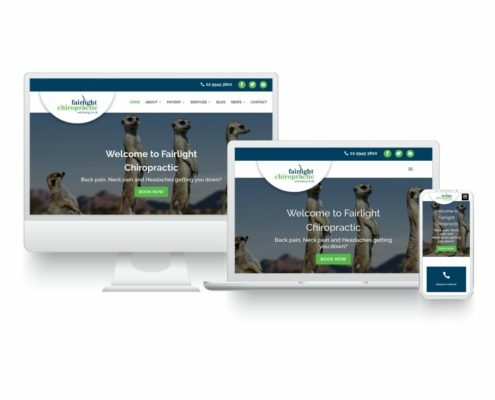 The site features conversion optimised contact boxes that appear on every page, making it very easy for visitors to either call, book or request a call back. We setup this engaging service page and it links to a range of ‘we commonly help’ condition pages. 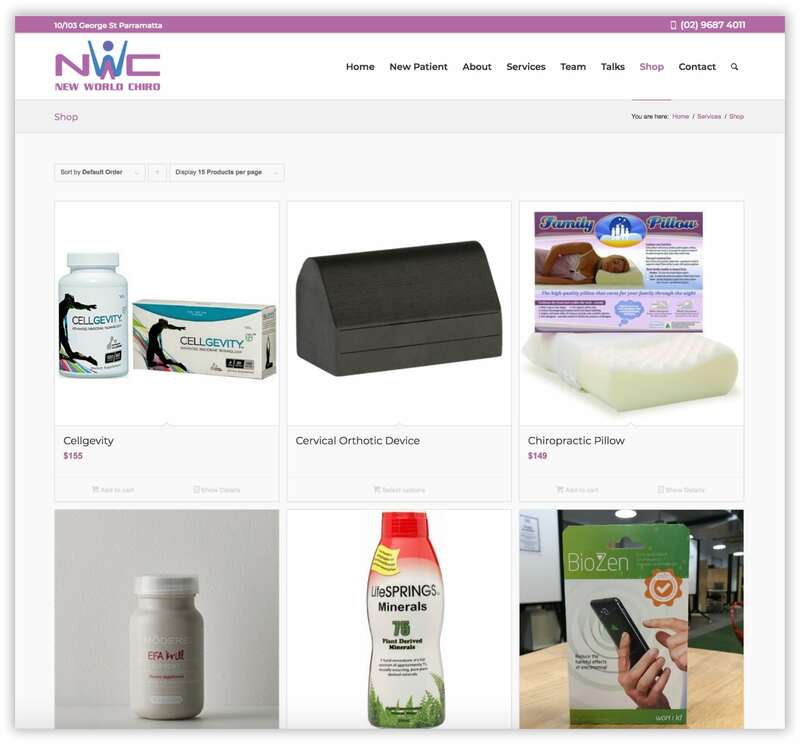 The site shop is setup with WooCommerce, an open-source, completely customisable eCommerce platform. It integrates seamlessly with both the website and the client’s brand. Mobile responsive design, meaning the site looks great across all devices and screens. Prioritised contact details on every page, making it very easy for customers to make contact. Pop-up contact form that allows customers to leave their details and request a call back. Speed optimisations performed, meaning the site loads faster. Chiropractic blog – full of great articles to promote the benefits of chiropractic care. Search engine optimised, with keywords, page titles, heading tags, high quality content and theme optimisations. We are a specialist Chiropractic Marketing Agency dedicated to helping chiropractors run better practices. We combine marketing methodology with chiropractic philosophy and apply this in the digital space.